Immersion special transducers refer to a variety of transducers that conduct many specific applications such as measuring wall thickness, inspection of aluminum plating, or multi-element array flaw detection.This group contains the following transducer types: side looking case, paintbrush, i-R style and XMS. Note: All above side looking immersion transducers have straight Microdot connectors. 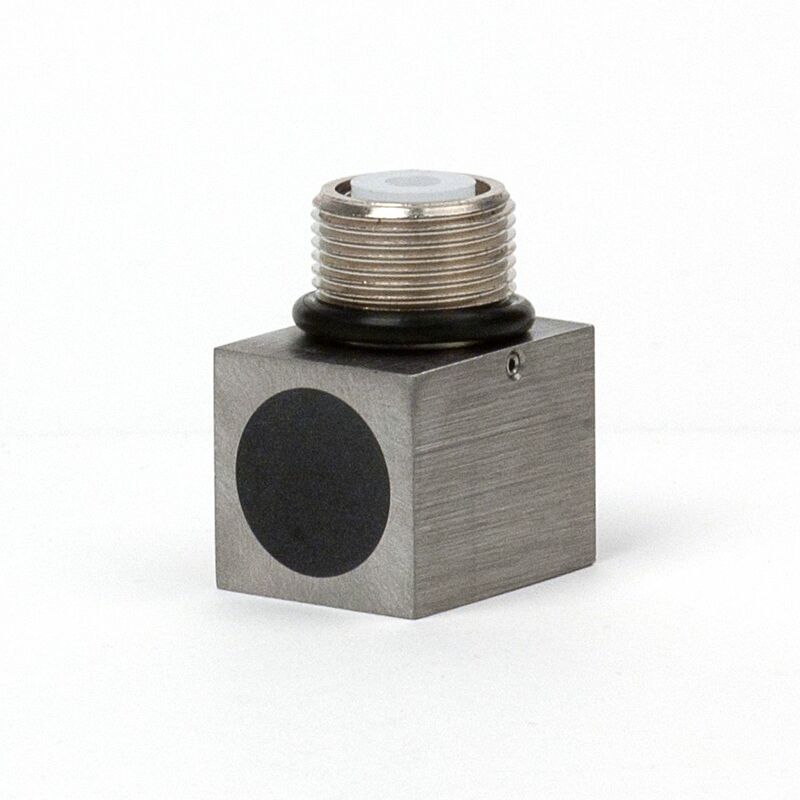 For 7.5 MHz and 10 MHz, case height (A) is 0.62"
The XMS transducer is an extremely small 10 MHz immersion transducer with a 3 mm (0.118") diameter by 3 mm (0.118") long case. This transducer is ideal for extremely tight access areas or for multi-element array flaw detection. The transducer assembly has a special connector attached to the 1 m (38") long potted cable. An adaptor is also available to interface with most commercial ultrasonic equipment. 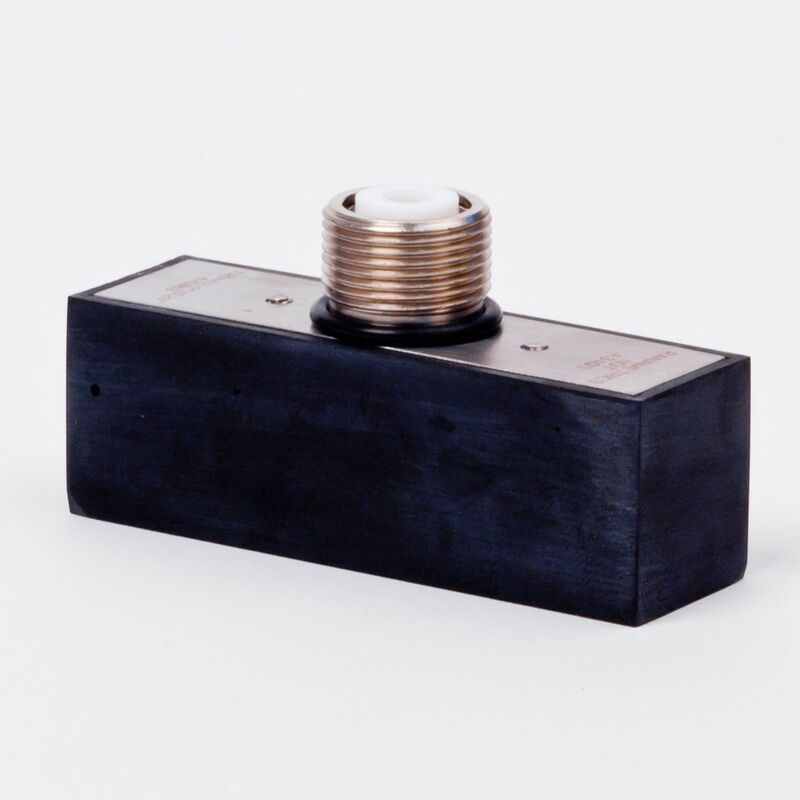 0.50 inches (10 mm) element diameters in 0.75 inches (19 mm) x 0.75 inches (19 mm) rectangular housings with side mount (right angle), UHF connectors, and 303 stainless steel case housings are available. *To view transducer point target focus, click here.